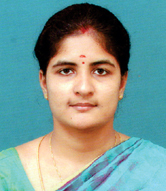 Dr. R.Kunguma Priya completed her MBBS from the prestigious Madras Medical College(Dr. MGR Medical University), Chennai in 2007. She did her Postgraduation at the renowned Institution of Obstetrics and Gynaecology, Egmore of Madras Medical College(Dr. MGR Medical University) from 2008 -2011. After completing her postgraduation she has served under various Government Hospitals in Tirupur & Erode Districts, where she was independently doing all Major & Minor Obstetrics and Gynaec Surgeries. She underwent Basic Diagnostic Ultrasound Training at Lotus Hospital,Erode under Mediscan in 2013. She is consultant of Obstetrician and Gynaecologist in KMCH, Erode Since 2015.